Allen & DeLalio Architects, Inc. is a full range design firm founded in 2015 as the next evolutionary step of the collaborative partnership forged in 2010 between Scott H. Allen and Nancy DeLalio. Our design philosophy is that a building should blend both style and functionality in order to meet lifestyle needs while reflecting the personality of the homeowner(s) or business. As a result of this approach, clients find they receive personal solutions to their design needs. Our design repertoire is diverse in nature, so you'll find that you're not limited to any particular style. Whether you already have your own design ideas or don't know where to begin, Allen & DeLalio Architects will work with you to create a design that works for you, your budget, and your builder. 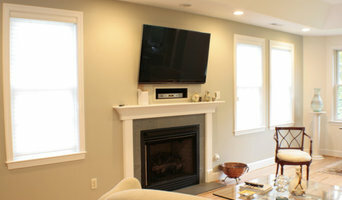 DRD studio is a certified small business Residential Design Studio based in Maryland. It was founded by David Delgado, an International-born designer with a passion for Architecture. His love for architecture was first discovered when he was a kid while visiting a construction site and he was captivated and mesmerized to see how the substructure and superstructure worked together to create the building components. David Delgado holds a Bachelor of Architecture degree. His extensive years of experience local and abroad in design and architecture allow him to create custom residential design spaces of high quality with unique detail. His primary vision is to provide his clients with the design solution for their project that will perfectly fit with their unique lifestyle. DRD Studio was established in 2008 to meet the needs of a growing group of homeowners who wanted quality home designs without the elevated costs of high-end designers. Any professional designer can listen to your needs, but only a few of us can really understand. We at DRD Studio will provide you with your design needs without increasing your budget in order to increase our profit. We will listen to your needs and provide our input and expertise to guide you to achieve your goal of a successful design. Our Mission statement: creating exclusive personalized designs since 1996; all of our projects begin and end with an honest relationship between the homeowner and the designer. Outside of work, David enjoys reading, mountain biking, hiking, volunteering at habitat for humanity construction sites, and spending time with his family and friends. Beautiful, high quality craftsmanship is only part of the equation when you remodel your home. MARK IV Builders is a design-build company with 29 years of proven experience, sticks to the schedule, communicates clearly and often, helps you make critical decisions, treats you and your property with respect, and is a pleasure to work with. Every home remodeling project is assigned an exclusive project supervisor to guide the entire process from concept through completion. Your MARK IV Builders project supervisor stays on top of every detail, to include helping you meet your decision schedule so that items are ordered and delivered when needed. MARK IV Builders' clients take part in weekly progress meetings because clear communication prevents unexpected surprises. Our greatest source of business comes through personal referrals and repeat business. Our clients love their homes once we complete their remodel, but more importantly, they enjoy the experience of working with our team. We are honest. We are dependable. We are respectful. Call and share your ideas, 240-395-0400. Our owner, Mark Scott, personally starts and ends every client engagement. With a B.S. in Engineering Operations, Mark cut his professional teeth in new home construction both as a builder, then as a project manager. He was the vice president for another building company for seven years before founding MARK IV Builders in 1988. Combining his education and experience convinced Mark that design-build is the best process for larger, more complicated remodeling projects. Clients are always amazed at how closely his schedule and budget are adhered to. And they love that in addition to attending the planning meetings and several weekly meetings, Mark personally follows up on every project for the walk-through, 6-month, and 1-year follow-up. MARK IV Builders specializes in complicated home remodeling projects like additions, open floor plan conversions, basement dig outs, kitchens, family rooms, master suites, and whole house remodels. Evidence of their award-winning work is found throughout neighborhoods in Bethesda, Potomac, Silver Springs, Arlington, Alexandria, and the District of Columbia. Fowlkes Studio is committed to intelligent design that celebrates craft and strives to represent the personalities of our clients. We are based in the Dupont Circle neighborhood of Washington, D.C. but have completed projects in Maryland, Virginia, Pennsylvania, New Jersey, North Carolina and New York. While our portfolio includes office interiors and retail spaces, our passion is for intimate, carefully considered residential projects. 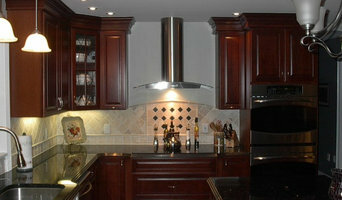 Fine Home Remodeling Design & Build Remodeling in Montgomery County MD for over 20 years. 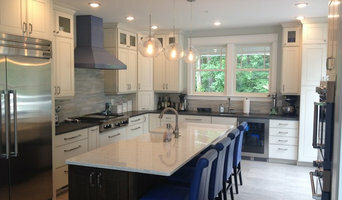 Montgomery County Design-Build Specialists | 3x Best of Houzz Winner! Hopkins & Porter is a residential architecture design/build firm serving Northwest Washington, DC, Bethesda, Chevy Chase, Rockville, Kensington, Potomac, Southern Montgomery County, and specific areas in Northern Virginia. Since 1977, their nationally recognized designs have been transforming the way people live. An expert staff of Architect/Builders work to fulfill your dreams while respecting your budget throughout the process. The Handymen division was created to maintain your new space so you will enjoy it for years to come. Celebrating 40 years of excellence and success! Paul Treseder specializes in residential architecture, both new houses and renovations/additions. His work emphasizes the environmental context of each client's property, both natural and manmade, paying special attention to the interaction of materials and details. His extensive experience allows him to stay grounded in the realities of construction, energy use, and budget. Designer of the project you are asking about. DC Metro Award Winning Remodeler Best of Houzz 5x! For more than 30 years, we’ve been helping discerning homeowners create amazing kitchens, bathrooms and other home renovations. All construction and installation work is done by our own highly trained, qualified employees who take pride in their work. We’re proud to be part of the Rockville community and we know local matters. If there’s ever a problem, we’re right here ready and able to make things right. Customer satisfaction is our top priority. Our talented team is prepared to take you from dream to done in a streamlined, efficient process. We have everyone you need already on staff: experienced designers, construction and installation experts, and a team that’s fully versed in all of the cabinetry, countertop, lighting, and fixture options you could ever want. This set up saves you lots of time – and our direct from factory pricing means you save money.